A good day at work starts with a clean work environment. That is sometimes more easily said than done. Maintaining a clean work environment starts with robust cleaning and maintenance management. To help with this, SBN has developed mobile cleaning management software available to custodial and janitorial staffs. 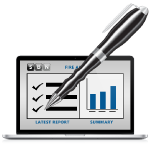 The cleaning management software is centered around our embedded mobile janitorial inspection software. 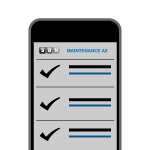 It allows employees to create and access inspection checklists from a mobile device from anywhere in the field (regardless of wifi access). As tasks are completed, they are documented in the inspection checklist. 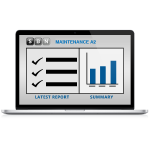 This lets program managers know in real time the status of cleaning and maintenance activities. The software also allows activity scheduling. Program managers can schedule daily work activities in various buildings and locations and then monitor in real time the progress staff is making. From the administrator’s tool, it is easy to tell if work is on schedule. With SBN’s solutions, cleaning and maintenance management is more effective and your workforce is more efficient.